“Io ballo il Rock!” Restaurant Charleston in Palermo, similar to the dance it is named after, is a fascinating sensorial experience. As its name implies Restaurant Charleston exemplifies the Liberty period with marvelously attentive and knowledgeable service, incredibly simple but flavorful Sicilian recipes, all set in an atmosphere difficult to reproduce anywhere else in the world. Located in the recently renovated Stabilimento Balneario in Mondello, a short drive from Palermo, dining at the Restaurant Charleston is an exotic dinner experience floating on the calm turquoise waters of the Mediterranean Sea. A day in the Sicilian sun, an evening chatting with new friends sipping Prosecco and watching the Mediterranean Sea slowly consume the setting sun are the perfect prelude to a magical evening in an enchanting atmosphere. 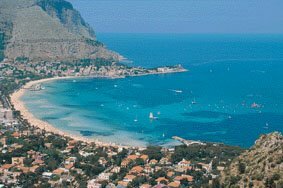 It is a short taxi ride, from our hotel outside of Palermo, to one of Palermo’s antique traditions, the Charleston in Mondello. The 19th century building in reinforced cement stands alone just off the shore in shallow waters of the bay. The Liberty style architecture conjures images of Belle di Epoca parading in velvet dresses and Cavalieri escorting their dames to fashionable balls an important part of the worldly Palermo night-life. The taxi leaves us in the disengagement square, surrounded by marble columns, in front of the building and we move across the bridge from dry land over the water to the restaurant well into the bay. The staff greets us cordially. They accompany us on a quick tour of the historic building before we are accommodated on the open terrace. Our table is filled with antipasti, Fior di Zucca, Alici, and numerous other Sicilian specialties, as we sip our bubbly Prosecco. Bright and shiny reflections beam up at us from the water. The lights of the dining room attract the numerous aquatic life forms toward the surface close to our table. The seafloor is clearly visible and strewn with large rocks smoothed by the moving tides. Occasionally, sounds of laughter or the pop of a wine bottle will interrupt our trance otherwise we are immersed in the undersea world. The waiter politely suggests a regional pasta dish followed by a swordfish steak, baked with butter and sage. Pasta and fish the appropriate choice of a white wine. While Charleston has a well-rounded wine cellar, complete with exquisite Super Tuscany and Piedmont wines, we chose a local white wine. The food was as delicate as the environment. Subtle flavors balanced in both texture and intensity. Fresh grilled or marinated vegetables as side dish and a choice of Sicilian cheeses to complete our meal. An exquisite experience, worthy of a long awaited romantic evening or an important occasion with friends and family, our evening was the culmination of a beautiful and relaxing weekend in paradise. Sharon Thanks. At one time I used to know something about programming. 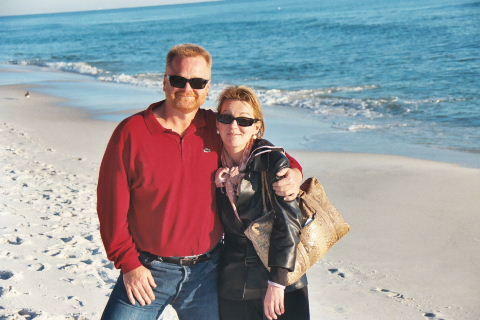 Sharon has several blogs, they are clean and communicate quickly their message. Our table is filled with antipasti, Fior di Zucca, Alici, and numerous other Sicilian specialties, as we sip our bubbly Prosecco. What brings you to Sicily David? Oh, I aslo adore the concept for the restaurant, Charleston - so cute! As you would be aware by now I love Italy in the 1700's - 1800's the architecture, the politics, the fashion, fencing and most paramount the music! 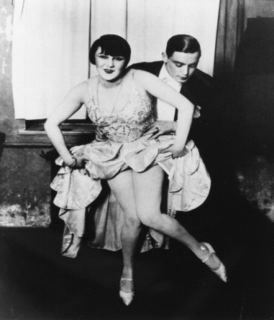 My other weakness is Chicago in the hight of the jazz era 1920’s – 1940’s LOVE IT! We had several stores in Italy, Catania, Palermo and Messina. While there, I was intrigued by the culture, the people and the food. Sicily has remained one of my favorite places. Reading your blog I am somehow comfortable with the fact that you enjoy the 18th and 19th centuries Italy. Wow. Just wow. Those ocean views look absolutely stunning. Jennifer There are many who can describe much better than I the intense colors of Sicily, but it is truly beautiful.